Properties in Glen Lake average 4.7 out of 5 stars. Private lake front cottage with spectaular views. Property 2: Private lake front cottage with spectaular views. Waterfront Glen Lake Cottage w/Porch, Canoe&Kayak! Property 4: Waterfront Glen Lake Cottage w/Porch, Canoe&Kayak! 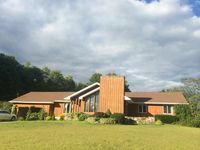 Property 6: Beautiful Glen Lake FOUR season Home on 3.13 acres!! Property 9: Walk to Million Dollar Beach from this newly renovated Cottage! Charmimg Bungalow - Lake George's Best kept secret! 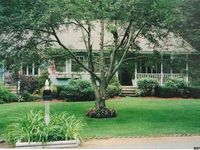 Property 12: Charmimg Bungalow - Lake George's Best kept secret! Charming 2BR Camp with Private Beach, patio, deck, fireplace - all amenities! Property 22: Charming 2BR Camp with Private Beach, patio, deck, fireplace - all amenities! Property 29: Lake George Townhome w/Water View, Patio & Grill! Property 45: Private Lake View House w/ Access To Resort Beach And Amenities! Lake George private waterfront property with beautiful sunset views. Property 47: Lake George private waterfront property with beautiful sunset views. Our family booked the Adirondack Riverside Retreat for the weekend. The accommodations were great. The kitchen is spacious and had everything we needed. The double ovens came in handy for cooking our meals. Everybody enjoyed playing ping pong, pool and air hockey in the game room downstairs. The weather was perfect for entertaining outside on the back deck. We loved the hot tub and fire pit. Charlie was very helpful with the whole process from start to the end. We hope to book this again soon. Checking out. We had an awesome time.